Disposable food packaging is an enormous environmental burden, and designers have been looking for a way to eliminate that burden for quite some time. As great as some of their ideas have been, none have seemed to find their way into the mainstream – or even onto the radar of most consumers. The Ooho might be just the thing to change that. 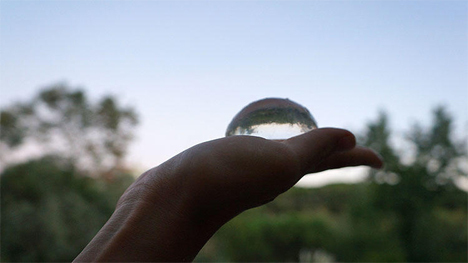 The Ooho is a bottle-less water bottle. 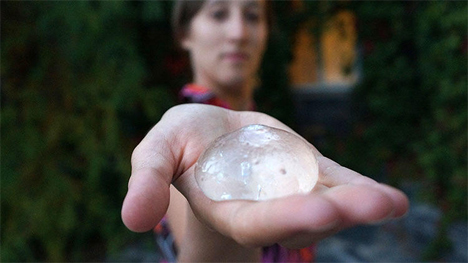 More accurately, it is a blob of edible gel containing water and producing zero non-biodegradable waste. The membrane that holds the water is made of brown algae and calcium chloride, a mixture inspired by molecular gastronomy which works kind of like the membrane that holds an egg yolk in its shape. Ooho was designed by students Rodrigo Garcia Gonzalez, Pierre Paslier, and Guillaume Couche. They formed the blobby water containers by first freezing water into spheres and then forming the membranes around the spheres. Each Ooho consists of a double membrane, which the inventors imagine could allow companies to insert labels between the two layers. 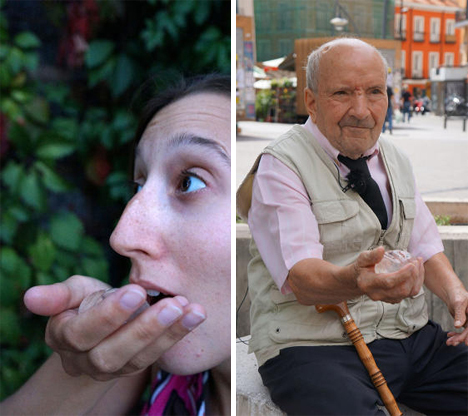 Of course, the perennial problem with edible packaging is how to keep it clean before it reaches the consumer. 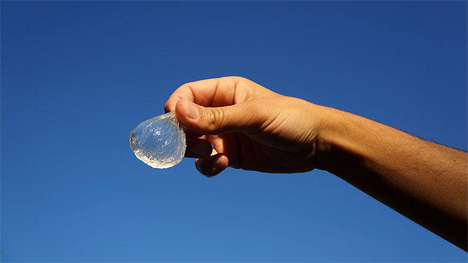 It would be pointless to wrap the Ooho blobs up in plastic just to avoid the plastic used in bottles, but a biodegradable solution shouldn’t be difficult to develop at some point. Right now, the designers aren’t convinced that bottled water companies will immediately adopt this type of eco-friendly packaging, even though it is vastly less expensive than plastic bottles – each Ooho costs about two cents to make. But the team hopes that people will begin making the simple concoction at home instead of buying bottled water. The Ooho was a winner of the 2014 Lexus Design Award.